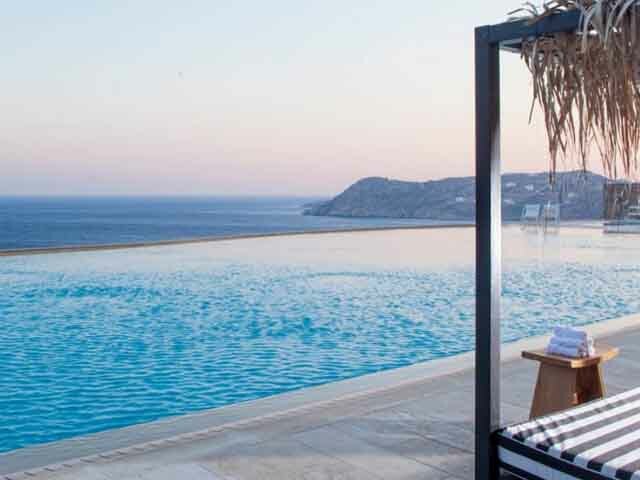 Open: April - October...Mykonos Ammos Hotel, with its exquisite location, since it is practically built on Ornos beach, promises to overcome your expectations and become the ultimate gateway for your holidays in Mykonos. Open: May to October ... 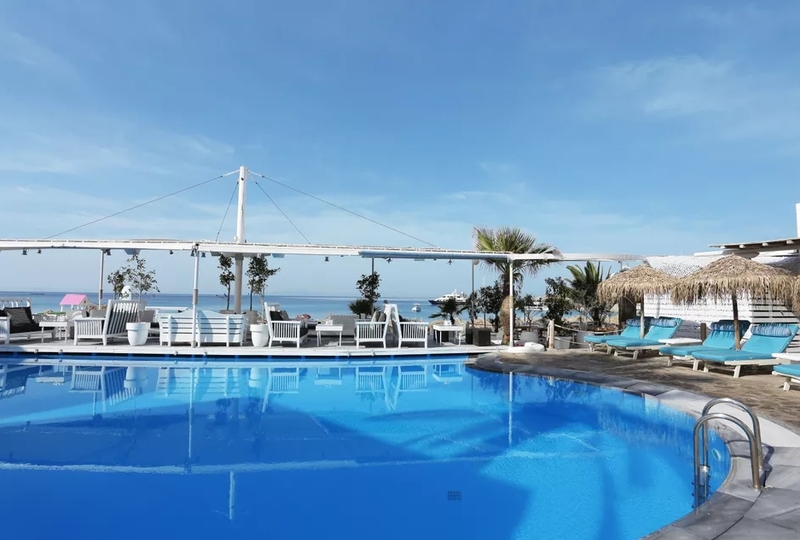 Situated on the magical beach of Platis Yialos, Mykonos Dove Beachfront Hotel is considered one of the best on Mykonos Island. 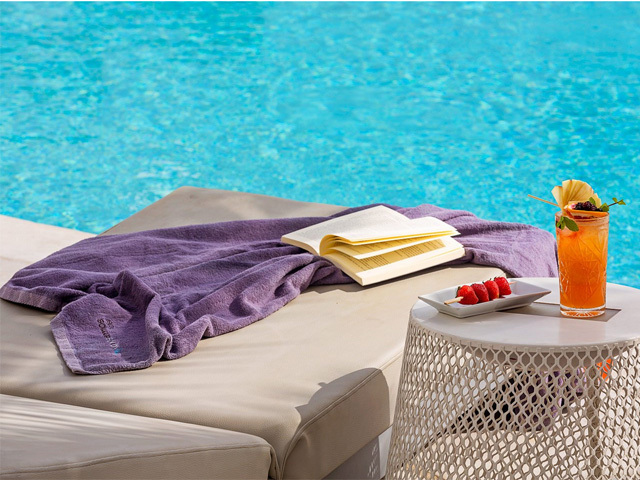 Open: May to October...Mykonos Grand Hotel & Resort is located right on Agios Ioannis beach. 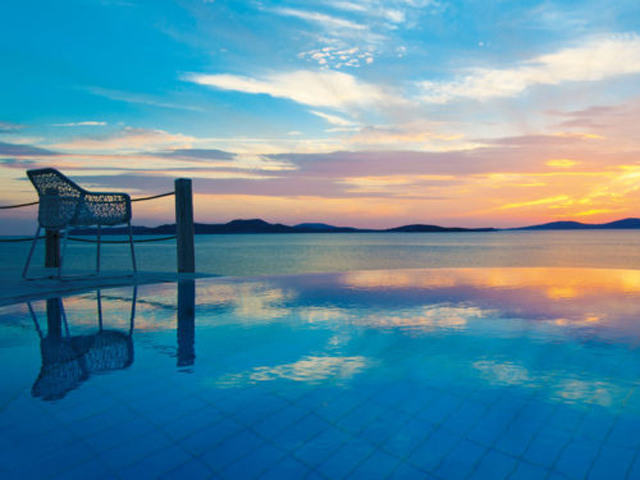 It offers 5-star boutique accommodation with stone-paved paths overlooking the island of Delos. Open: April - October... Step into a new world of luxury at the Mykonos Luxury villas. Three private villas, each with magnificent view to the sea, invite you to enjoy a unique lifestyle on Mykonos. Open : All Year ...... Maison Villa Built on an area of 16.000 square meters, Maison in the beautiful Ornos area combines the simple and traditional architectural lines with the stylish furnishing and all the modern amenities for a comfortable accommodation in Mykonos!